Duck Dynasty’s Si Robertson became a collectable figurine which is available on A & E online store. 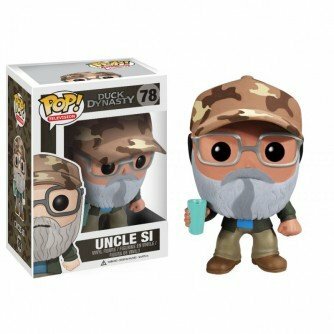 The small vinyl figurine features Uncle Si Robertson in a camo hat, with his frames and incredible grey beard. He wouldn’t be complete without his instantly recognizable turquoise cup. The figurine is up for sale on A & E Shop website for $3.99.